The animated film of The Snowman first graced our screens back in 1982 when I was just seven years old, although it is one of those films that I remember clearly and have watched many times over during it’s annual viewing each Christmas. The 20th anniversary film released in 2012 shares the snowman’s adventure with another little boy along with a Snowdog, of which has become one of my little boy’s favourite cuddly toys since taking part in last years blog tour. If you haven’t seen the film or want to watch it again then keep your eyes peeled as The Snowman™ and The Snowdog will be shown on Channel 4 again this Christmas! 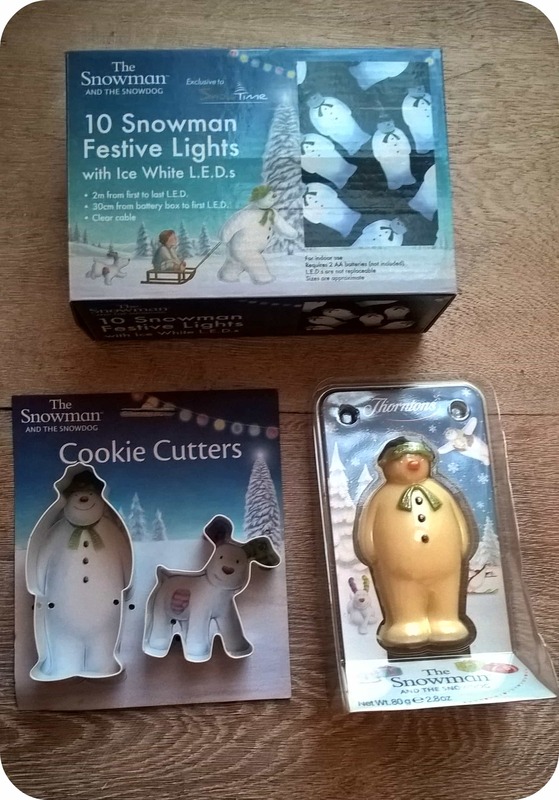 This year we have received some lovely Snowman & Snowdog gifts to try out as shown below. 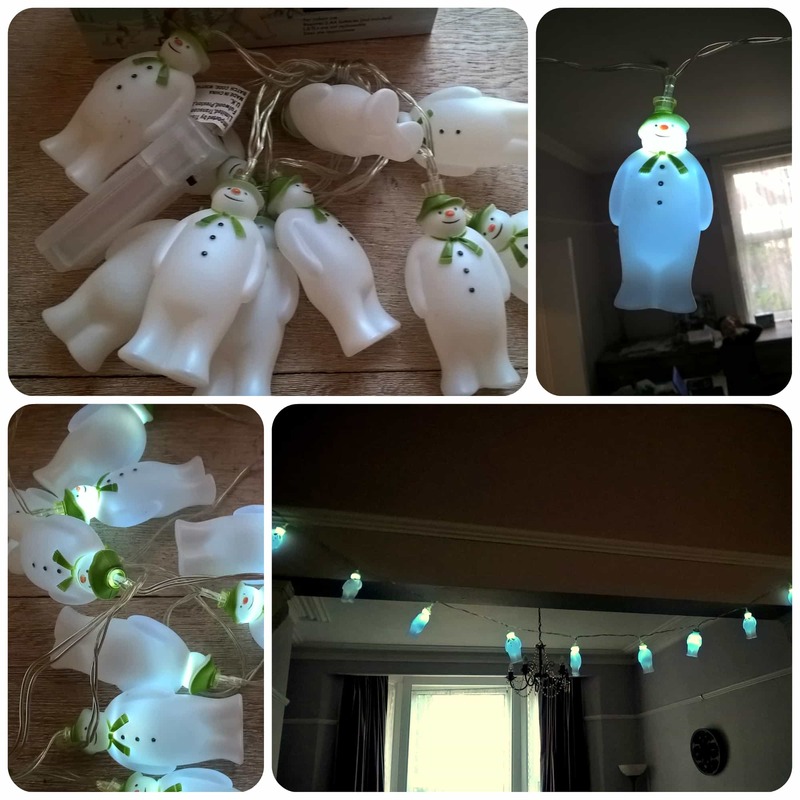 The Snowman Indoor Light String with LED bulbs is available from Christmas Trees and Lights priced at £15.99. The set contains 10 moulded snowman which gently illuminate to a soft glow. The set requires 2AA batteries to operate it, which I do like as it means they can be hung anywhere. We chose to hang them from our picture rail between our lounge and dining room. The children really love these lights and can’t wait for me to turn them on each evening. 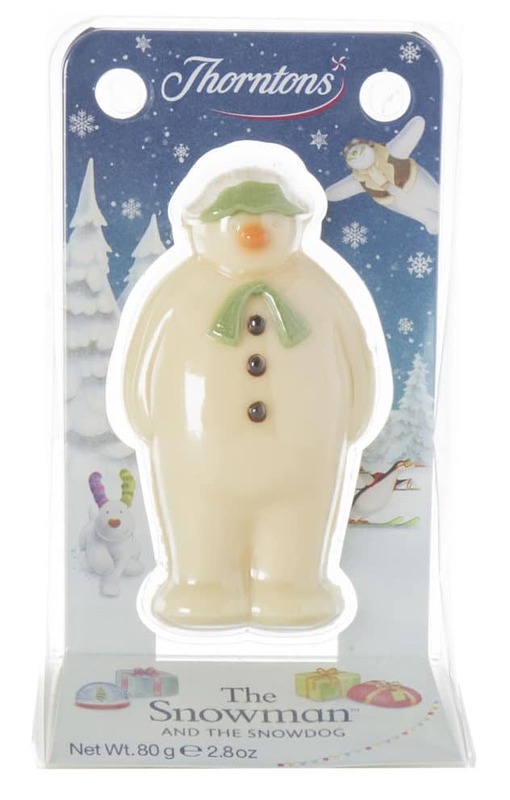 A product that will always prove popular in this house is chocolate and when it’s a white chocolate snowman from Thornton’s, you know you are onto a winner! The chocolate is creamy and very yummy, a firm favourite with my little ones and also myself, great for a Christmas treat! 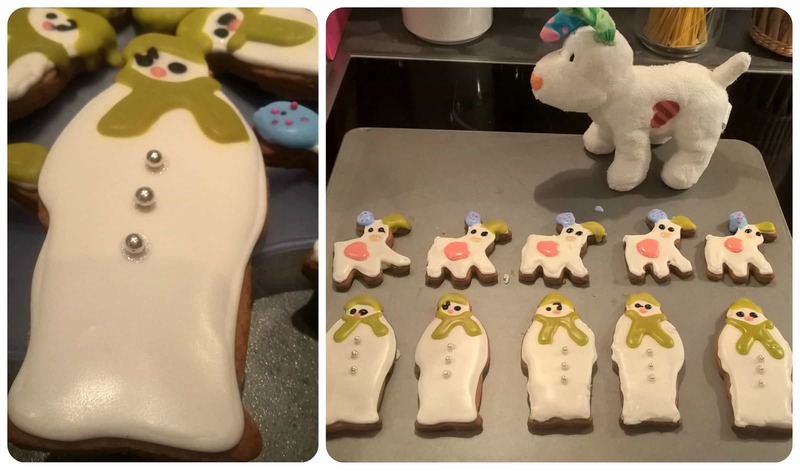 The fun twist on this years Snowman & Snowdog blog tour is a bake off along with the other bloggers taking part. 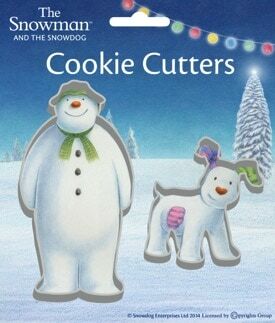 We have all been sent this lovely set of Snowman & Snowdog biscuit cutters available from John Lewis and Party Delights to see what we could come up with. 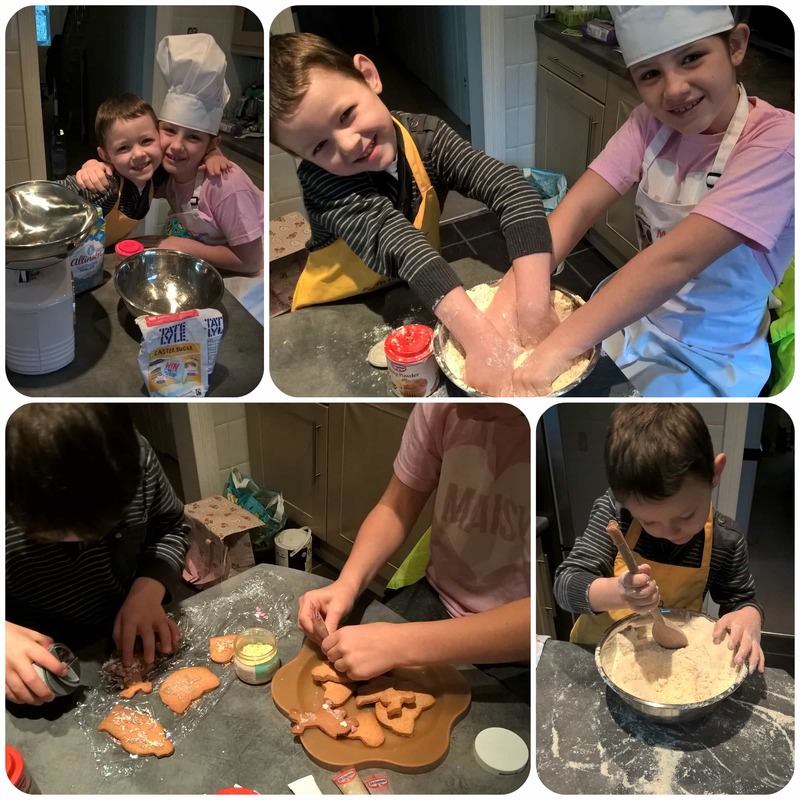 I didn’t have to ask my children twice if they wanted to help, they absolutely adore baking, and as soon as I mentioned we were starting they were in the kitchen doing up each others aprons and sitting at the work top ready to begin. Due to an imminent house move my food processor is all packed up, so luckily the children love getting their hands in the bowl and effortlessy rubbed the butter into the flour for our biscuit mixture. They then rolled out and cut a variety of shapes ready for baking. I love their results, so sparkly and festive! And aren’t these snowdogs super cute? Then it was mummy’s turn with the other half of the mixture. I carefully cut and baked my shapes before attempting to ice them! I’d had a long weekend of DIY at my new house and was feeling pretty shattered, so was a little rushed, but I gave it my best shot! I really enjoyed this challenge and found it really fun to do. I’ll definitely be trying out some more biscuit designs in the new year when I have a bit more time on my hands. 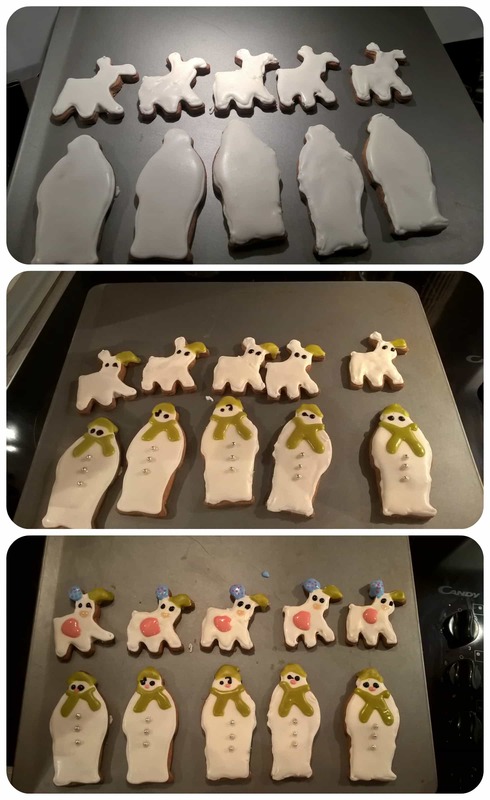 Mister B’s snowdog came down to the kitchen for a visit and approved of my biscuit creations of him and thought the children would love them! 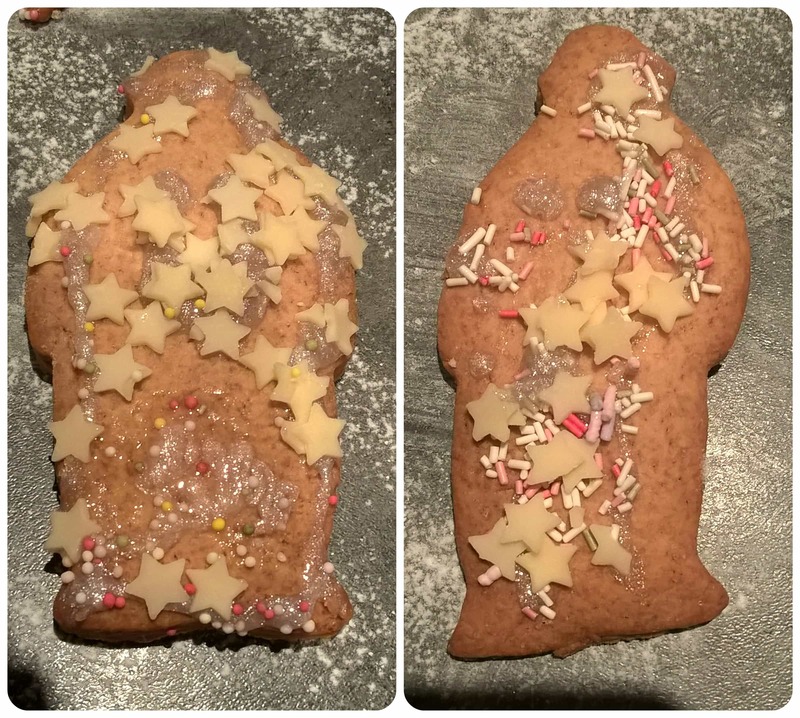 I have to say the finished biscuits are very tasty and the children couldn’t wait to sample them. I can confirm they do taste absolutely delicious are make the perfect festive treat this Christmas time. For more Snowman & Snowdog gifts and bake off adventures head over to Madhouse Family Reviews tomorrow for more wonderful festive ideas. All reviews are my own and my family’s opinions and we received the Snowman & Snowdog goodies in order to write an honest review. 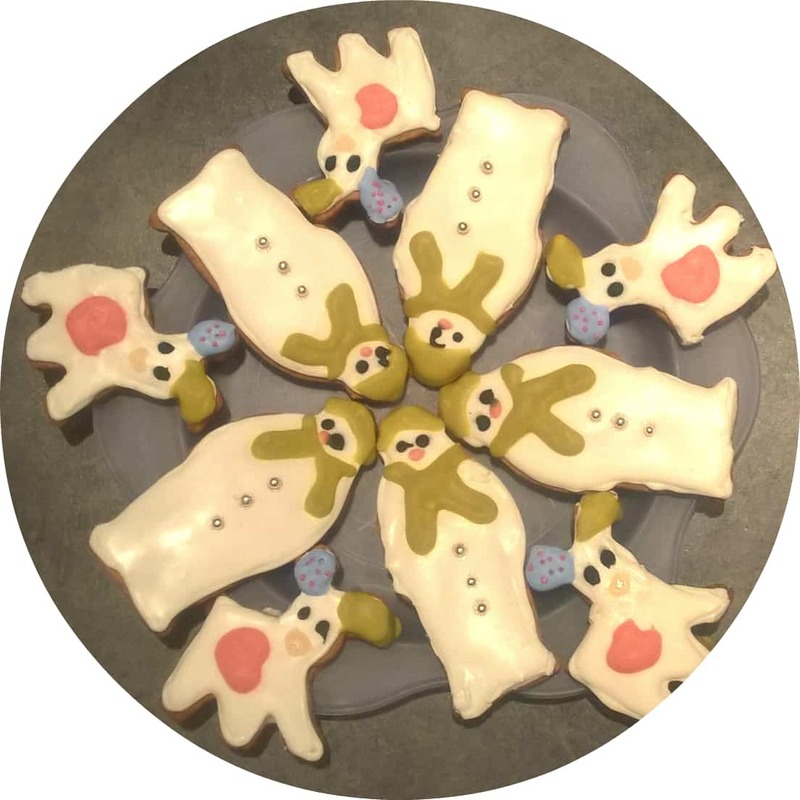 This entry was posted in Reviews and tagged bake off, biscuits, chocolate, Christmas, film, iced, lights, raymond briggs, snowdog, Snowman, Thorntons by Fiona Martin. Bookmark the permalink. They look great, love those snowman lights too. Aww! How adorable! I really love those lights. cant believe that snowman was first show in 1982.
your biscuits look great! love to take a bite!